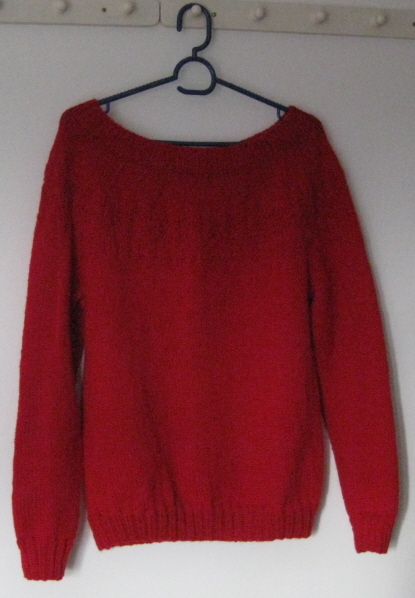 It’s been a while since I’ve had the chance to blog but I’m delighted to say that I’ve now completed the red sweater featured in series 2 of the Killing. The pattern is available from the Radio Times website (www.radiotimes.org) and it took 9 balls of Lima yarn to complete the medium size. The Lima yarn is 100% wool and excellent value at £2.75 for a 50g ball – it’s aran weight so the sweater grows in no time. So, my Killing days are over – at least unless they decide to have a series 3 and feature another sweater..
Last week was mostly taken up with the Malvern craft fair. 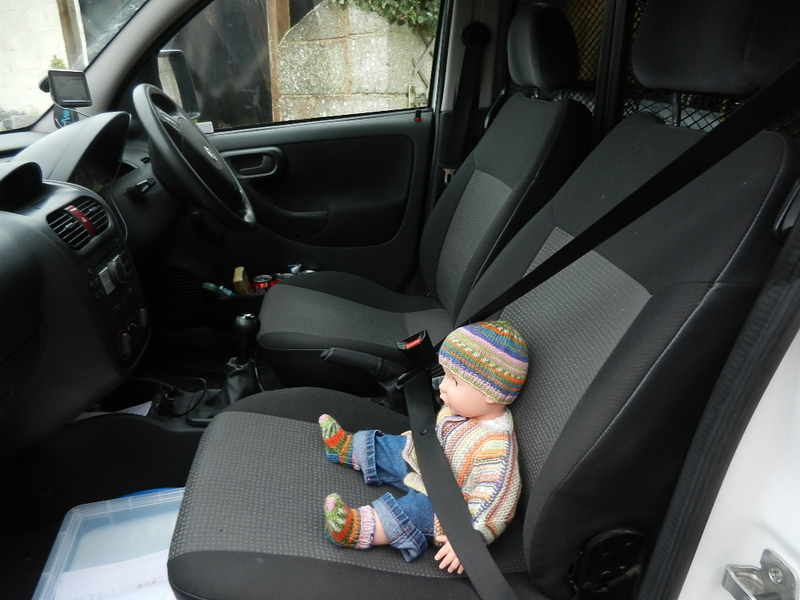 Last Wednesday, I loaded up the van with loads of lovely yarn and the ‘model’ for some of the Knitcol baby clothes – looking scarily life-like in the front seat. Luckily, I put the headless torso in the back or I might have been stopped en route!! The show was great fun and it was lovely to meet so many customers, old and new. 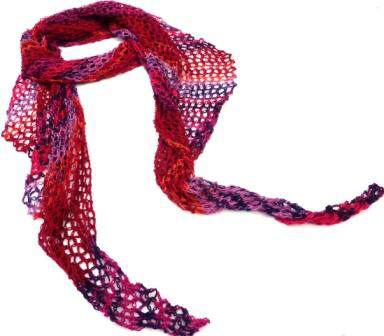 The number of knitting-related stalls at the show was also a strong indicator that interest in knitting is on the increase – long may it continue. 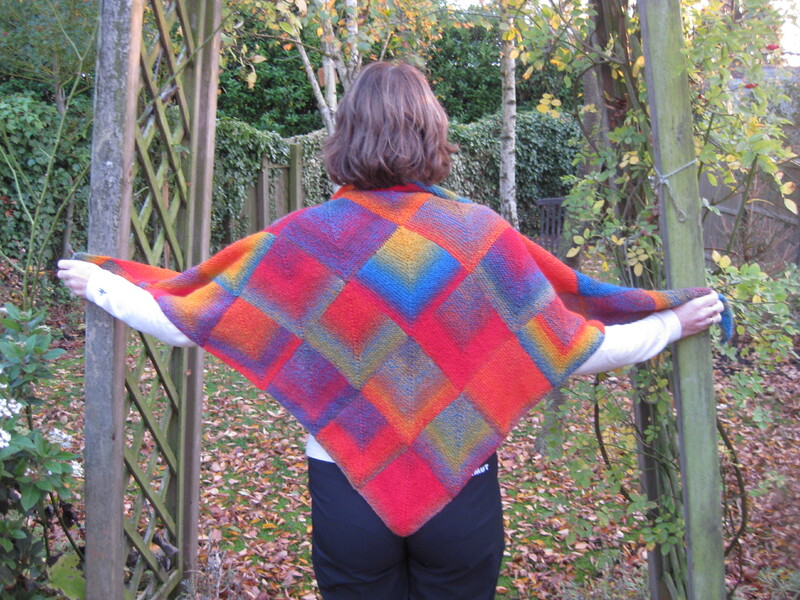 and the Zauberball Shawl – shown here knitted in Zauberball Crazy, 1702 Little Fox. We also managed to entice some knitters into knitting socks for the first time. 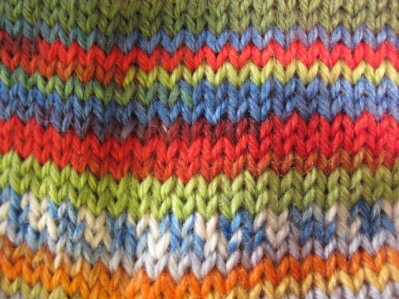 Many were simply unable to resist the wonderful colours in Knitcol DK. I found the show to be a pleasure – the organisers made sure that everything ran smoothly and even the set-up and take down were easier than in other shows. I made some lovely new friends and was extremely well looked after at the Great Malvern Hotel – I’m already planning to go back next year.